Bitters for cocktails are sometimes considered an optional ingredient, but they can add immense taste and interest. There are several popular cocktails that call for dashes of bitters, which of course may lead you to wonder exactly what bitters are and whether it is worth purchasing an entire bottle just for a dash. Of course, some bitters can also be drunk on their own. but they are potent and not for the faint-of-heart. Bitters are an aromatic mix of spices, herbs, roots and plants that are mixed with alcohol. When added to cocktails, bitters can give drinks more character and depth. They can subtly change the flavor of a cocktail, give it a deeper taste and add interest in intrigue. Like a pinch of cinnamon in a pie or a dash of salt to season a dish, a small amount of bitters can make a big difference. Bitters were initially used in the 18th and 19th century for medical purposes. Unfortunately, when tasted alone, potent bitters were not quite as pleasant to the palette as other ingredients. 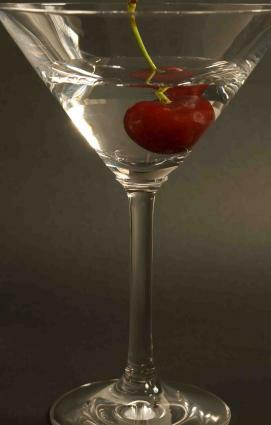 Some believe that people began adding non-alcoholic drinks to bitters to help the medicine go down, and eventually these bitters led to the creation of the cocktail - a mix of spirits, water, sugar and bitters. Bitters are used sparingly in cocktails. While most cocktail ingredients are measured in fluid ounces or centiliters, bitters come in bottles that have nozzles on them. This means they can simply be turned upside down so a dash of their content can be added. Most mixology recipes are not terribly precise in regards to the amount of bitters added; this is why an experienced bartender is such a great thing to have. However, after a bit of practice with the bitters bottle at home, you'll be adding bitters to cocktails like a pro. After all, mixology is not an exact science, and experimenting with cocktail-making can certainly be fun. An Old Fashioned uses aromatic bitters, while martinis can be vastly improved with the addition of orange bitters. As far as flavorings go, the sky's the limit. Let your creativity and imagination run wild. Orange and grapefruit are staple flavors, but go ahead and try berries, ginger, vanilla, lemongrass or whatever flavors that interest you. Bitters are kept in alcohol solutions. You may opt for a non-alcoholic variety, but its shelf life will be far more limited. Higher proof alcohol will absorb more flavors from your spices and will give the bitters a more indefinite shelf life. For light bitters, use gin or vodka. For heavier bitters, use brandy, rum or whiskey. For entertaining at home, you need not spend over $10.00 for a bottle of bitters. You may simply concoct one yourself in the convenience of your own home. A simple recipe involves a bittering agent such as wormwood, quassia or gentian. You'll also add your flavor selection of choice, and finally your alcoholic ingredient. For a detailed recipe, visit Star Chefs.com where Adam Seger explains how to make several common bitters. For the less-ambitious or chemistry oriented, bitters are relatively easy to purchase online or in store. Amazon offers a good selection, including the set of six unique cocktail bitters from the Fee Brothers pictured right. Flavors include popular fruits such as peach, orange, lemon and grapefruit, as well as mint and old-fashioned aromatic bitters. Remember, when buying bitters you need to pay attention to whether they are potable or non-potable. Potable bitters can double as drinks themselves - usually after dinner drinks - and are the strong bitters that also contain alcohol. Non-potables such as the Fee Brothers set above can't be drunk on their own, contain new alcohol and are purely used to add flavor. Make sure you are aware of what your cocktail calls for and just how much alcohol you can handle before purchasing your bitters for cocktails.